Present achievers with an award representative of their accomplishments! 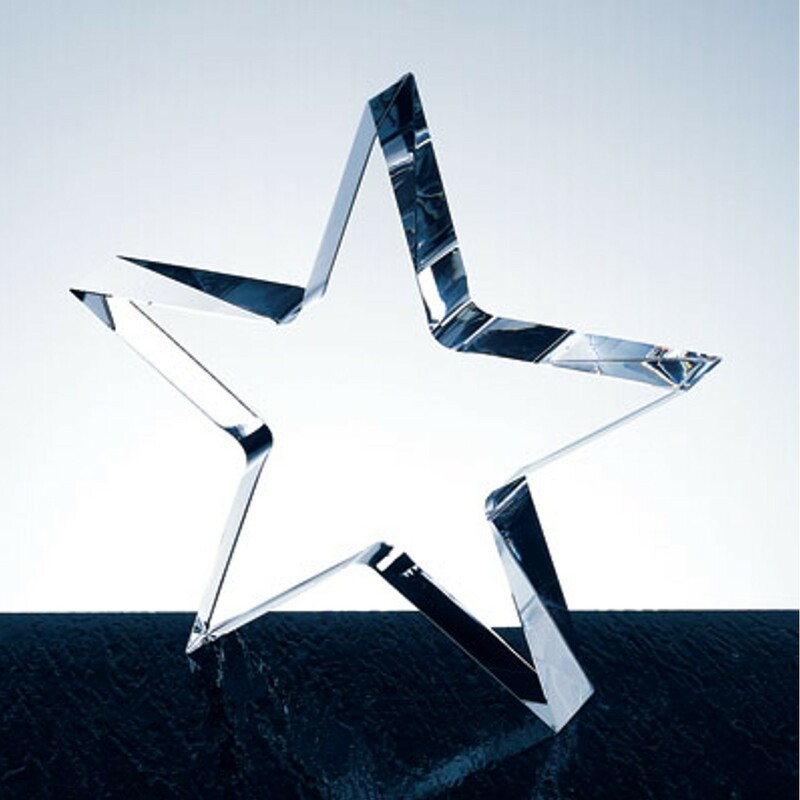 The Solid Crystal Standing Star Award is perfect for your corporate stars. Available in two great sizes, this solid crystal award can be displayed upright or flat as a desk weight. Plenty of space is perfect for displaying your custom logo and message, etched for free.